The successful guide to the Doctor's world, now updated and expanded for 2014 and the new Doctor. This lavishly illustrated guide to the Doctor's world is now expanded to include all the action from the new series with Peter Capaldi as the twelfth Doctor. 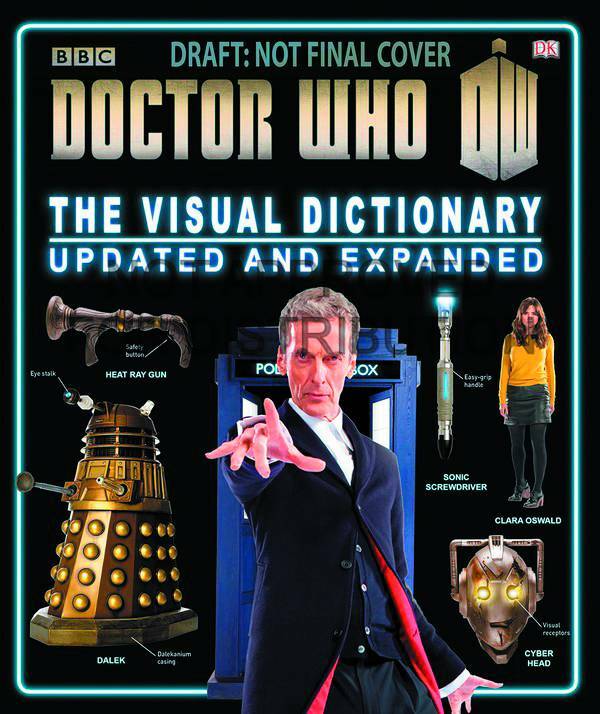 With 32 new pages of material, including new companions, aliens and adventures across time and space, Doctor Who: The Visual Dictionary offers details to pore over and enjoy as well as behind-the-scenes information on the hit television series.